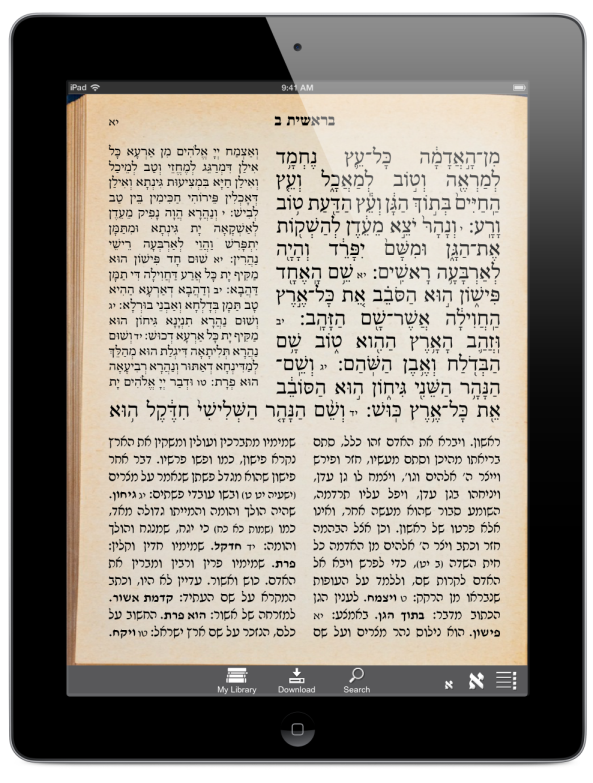 PowerSefer is a full-featured Hebrew e-reader and library app for iPad, iPhone, Android, Mac, and PC, designed specifically for seforim. PowerSefer offers a large library of classic Jewish books, beautifully reset in crisp, clear, modern typefaces, adjustable to any font size. Search, read, research, and study our library of Torah texts on your desktop, laptop, tablet, or smartphone - whatever devices you use. Seforim include: Chumash (with Rashi and other commentaries), Nach (with Rashi and other commentaries), Mishna (with Bartenura), Rambam, Talmud Bavli (with Rashi and Tosafos) and Talmud Yerushalmi, Mishnah Brurah, and hundreds of other seforim in many other categories, including Mussar, Chassidus, Kabbalah, Rishonim, Achronim, Halacha, Midrash, and more.